Another year, another MWC trade show, another flagship model added to Samsung's Galaxy line-up. 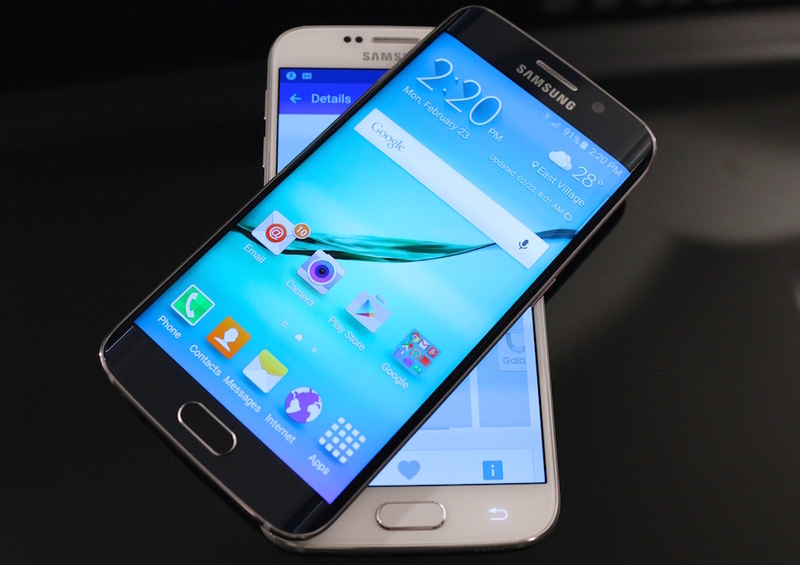 Actually, make that two, with the new Galaxy S6 joined by a curved-screen doppelgänger, the S6 edge. Aside from the sloping sides of the S6 edge's display, both are cut from the same, premium cloth. Bound in aluminium, powered by identical octa-core chipsets, both hosting 5.1-inch Quad HD displays and 16-megapixel cameras, they are exactly what you expect new flagships to be. That is, the best smartphones Samsung has in its arsenal. And ahead of the global launch of the handsets on April 10th, they are now available to preorder from a variety of outlets in the UK. Apple's criminally ignored set-top box is finally getting a major upgrade. The company is planning to announce a new Apple TV at its Worldwide Developer Conference in June, according to Buzzfeed. And yes, sources say it'll pack in just about everything you've been hoping for: a real App Store, Siri-powered voice commands, and the usual spec bumps (including the new A8 processor and more storage). Nothing's confirmed just yet, but it certainly makes sense that we'll see a new Apple TV at WWDC, especially since we're hearing Apple's planning to debut its long-awaited TV serviceand Beats-powered streaming music service soon. Apple's also made it clear that its set-top box will play a big role in its HomeKit platform -- the new Apple TV might include additional hardware to make that possible. Google has announced that it will start an official human-based screening process for all of the apps featured in its Google Play store, in a bid to "better protect the community" and "improve the app catalogue." 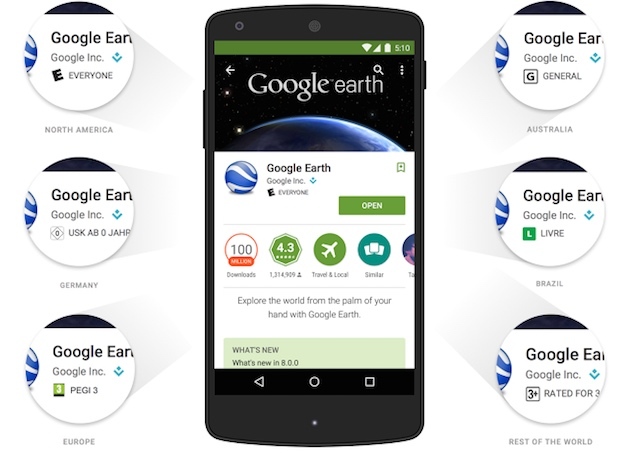 The search giant revealed yesterday that a "team of experts" would be reviewing apps and all updates offered across the Google Play platform for those which violate Google's developer policies. The team will also give direct feedback to developers on what they need to do in order to fix their apps before they can be listed on the Store. A dedicated review page will allow developers to gain further "insight into why apps were rejected or suspended," as well as offering them the opportunity to "easily fix and resubmit their apps" for those who have violated minor regulations. Bloomberg reports that according to a person with knowledge of the matter, Apple plans to start accepting non-Apple devices as trade-ins as the company seeks to extend market-share gains against Android smartphones. Apple is seeking to fuel even more iPhone 6 and 6 Plus sales after selling 74.5 million units in the last three months of 2014. Thanks to record sales, shipments of iPhones surpassed Android in the US with 47.7 percent of the market compared with Android's 47.6 percent. According to Apple CEO Tim Cook Apple "experienced the highest Android switcher rate in any of the last three launches in the three previous years." While Android phones don't hold their value as well as iPhones, it still makes sense for Apple Stores to accept them, says Israel Ganot, former CEO of Gazelle Inc., an online mobile device trade-in company. "Apple can afford to pay more than the market value to get you to switch over," says Ganot, "on the idea that you're going to fall in love with the iOS ecosystem and stay for a long time." The rest of the games industry should follow the lead of PC and tear down their walled gardens, argues Valve boss Gabe Newell. Speaking to MCV at GDC, Newell said that the firm’s latest projects, including the Steam Machines, streaming box Steam Link, Steam Controller and games engine Source 2, are all part of his company’s strategy to grow PC, and is letting other PC firms use the technology for free. Newell added that it was important to Valve to invest in this technology and make it available to everyone to ensure PC gaming continues to thrive. “We started to get pretty worried a while ago when we saw this sort of closing off,” he said. “It was like Microsoft saw the iPhone and said: ‘We should make the PC more like that; people should have to go through us to have new ideas’. And we thought that sounded like a terrible idea. The iPhone should be more like the PC and the internet. Not the other way around. He continued: “Developers need the freedom to try out stuff; that’s how we’ve been successful. 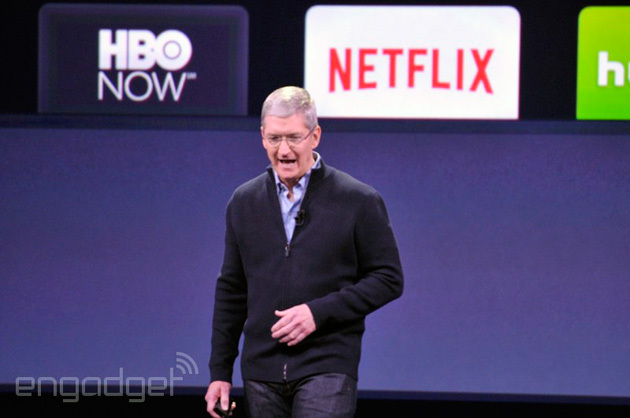 Apple is apparently bending over backwards to make sure that its oft-rumoredstreaming TV service gets off the ground. New York Post sources claim that the company is willing to share viewer data with the networks, including demographics and viewing habits, if it means getting channels ahead of its service's reported fall launch. It's not clear just how much info broadcasters would get, although there's talk of letting them run ads if they don't think the subscription fees are enough. Like a dozing teenager promising to take out the trash, Lenovo's been pledging to build a Windows Phone handset since November 2011. Microsoft, like a patient parent trying to motivate its offspring, has now tried to inspire its partner by giving Lenovo a very public deadline. 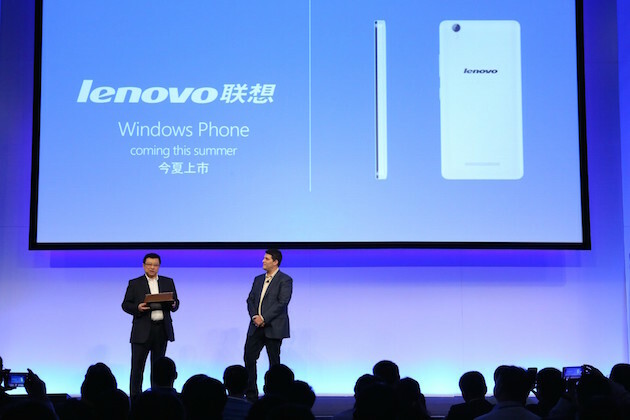 In a post on the Microsoft Blog, Terry Myerson has revealed that Lenovo will launch its first Windows Phone handset by the mid-year of 2015. The one-line announcement was buried deep in a story about Windows 10 upgrades, but there's a sting in the tail for expectant westerners. Unfortunately, the devices will only be available on China Mobile, but we can always hope that Motorola might see what its new owner is doing and take the hint. 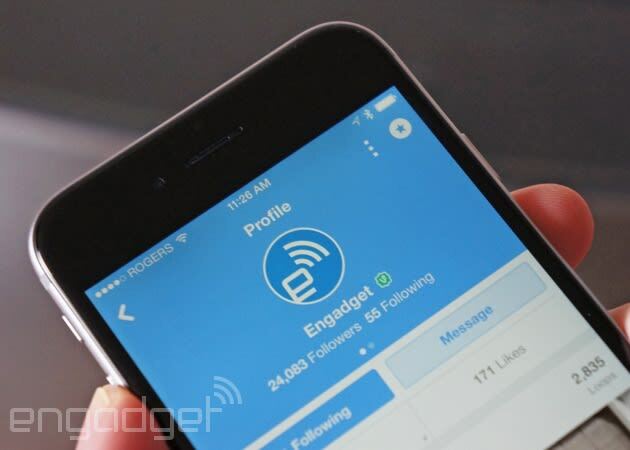 Vine's iPhone app is getting some major speed upgrades today. With its latest update, Vine will now preload videos even before you launch the app, which also makes some videos available when you're offline. Yes, that means you'll actually be able to check out Vines even when you're on the subway. To help make all of that possible, the company is now moving over to smaller video sizes (likely due to better compression), and it's implemented network caching, which stores videos for offline viewing. Specifically, the Vine app will now preload videos from your timeline and the Explore section, as well as your activity notifications. And yes, Android fans, a similar update is coming your way soon. Just because you're not splurging on a top-of-the-line smartphone doesn't mean that you have to settle for a tiny amount of storage. Samsung certainly thinks that way -- it just announced a 3-bits-per-cell flash memory chip that promises 128GB of storage in "mass market" (read: more affordable) mobile devices. It's based on the plain eMMC tech you see in most phones instead of the fast UFS format inside the Galaxy S6, but you probably won't complain about the speed when it can still read sequential data at a very respectable 260MB per second. The one catch? There's no word on when it'll be ready, so you may be waiting a while before you're carrying a budget phone with more drive space than some laptops. Android fans: you no longer have to watch on the sidelines as your friends play TV tennis with their iPhones. 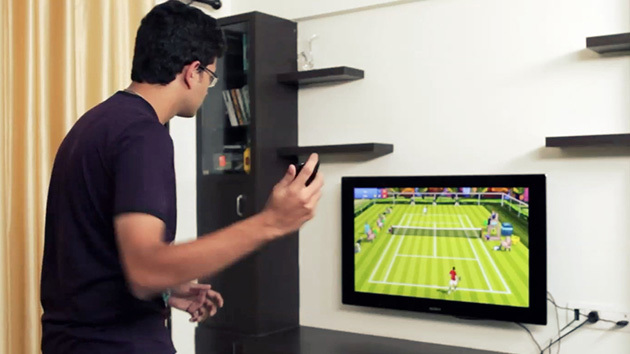 Rolocule has released Motion Tennis Cast, an Android version of its free sports game that uses screen mirroring tech (such as Chromecast, Miracast or Samsung's AllShare Cast) to turn your phone into a Wii Sports-like motion controller, with your TV or a Chrome browser tab serving as the screen. You'll largely be lobbing and volleying like you did in the iOS version, although there's a new multiplayer mode that lets you challenge your Facebook and Google+ friends. Thereal party trick may be coming down the pipeline, however. Rolocule is teasing plans for an Android Wear version, so you'll one day have the option of swinging with your smartwatch. If your budget is tight but you still want the new notifications and other stuff coming with Windows 10, Microsoft has your back -- depending on where you live. 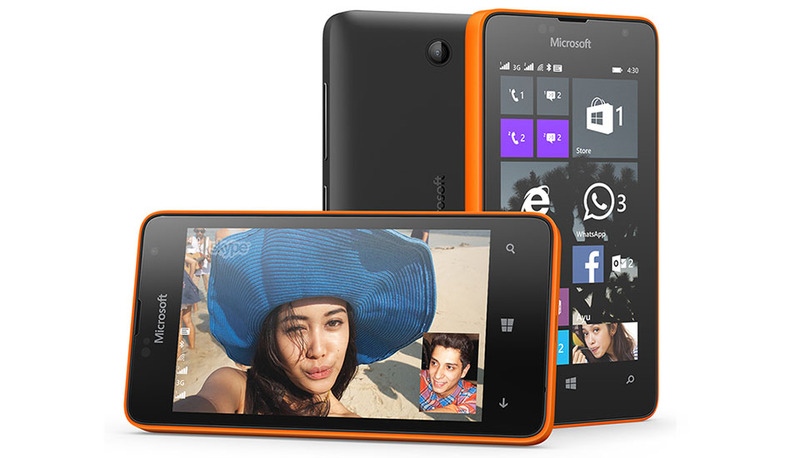 It just revealed the 4-inch Lumia 430 Dual SIM model that's Windows 10-ready for around 70 bucks. For such a price, you'll get about what you'd expect: a WVGA display, 1.2GHz dual-core Snapdragon 200 CPU, 8GB of upgradeable storage and a 1,500 mAh battery. Unfortunately, the biggest compromise is with the cameras: it has a meager 2-megapixel front/0.3-megapixel shooters that will make for passable selfies and not much else. Despite denying it would ever do such a thing, Nintendo will start creating new games for mobile devices via a partnership with developer DeNA. The emphasis is on the word "new" -- you won't necessarily be getting Super Mario Bros. ports on your Android smartphone, for instance. 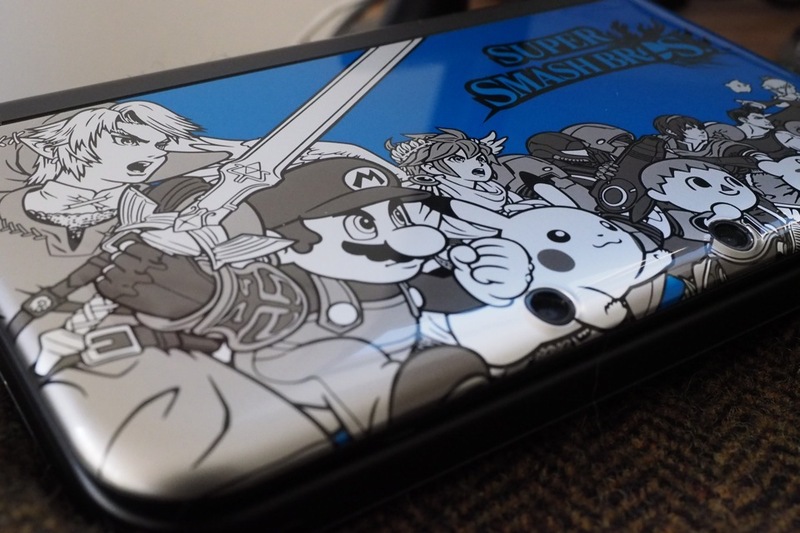 Instead, the companies said "only new original games optimized for smart device functionality will be created, rather than porting games created specifically for the Wii U home console or the Nintendo 3DS portable system." In other words, it looks like Nintendo has relented to investors who said it's not profiting enough from its valuable intellectual property, and you may soon see its universe of characters pop up in Candy Crush-style mobile games. Steve Jobs was a well-known audiophile and music lover, which helps explain why Apple transformed the music industry in the '00s with the iPod and iTunes. But according to a new biography soon to be released, Apple may have failed to do the same for TV because of Steve Jobs's disdain for the medium. One of his first acts upon returning to the company was to kill the flashy, expensive 20th Anniversary Macintosh, in part because it had a built-in TV tuner. "Apple will never make a TV again," Jobs declared. It would have been interesting to see how a Microsoft deal would change Cyanogen. But we'll have to rely on our imaginations, because Redmond has decided not to put money into the company, according to Bloomberg. While Cyanogen is known for creating customized versions of the Android platform, earlier reports said it was in talks with Redmond to create a custom mod loaded with Windows apps in exchange for financial investment. Still, even though the negotiation fell through, it doesn't look like the startup will end up strapped for cash: Bloomberg says it's on track to make $110 million from other investors through its current financing round. Besides, one of the pub's sources believes Microsoft might still pursue a commercial deal with the Android modder in an effort to put Windows applications into more users' hands. BlackBerry's first experience with tablets was more than a little traumatic, but it hasn'tcompletely given up on the idea. 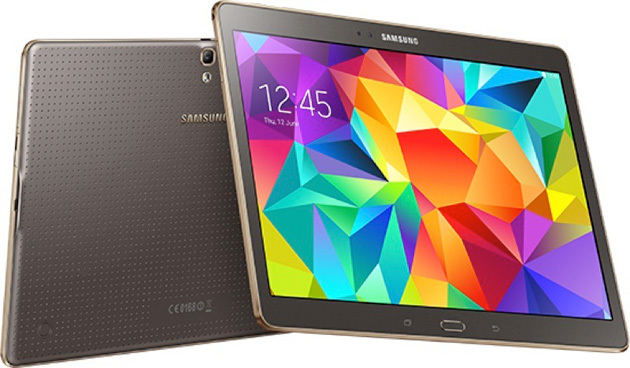 The company's SecuSmart wing has teamed up with IBM to launch the SecuTablet, an extra-secure version of Samsung's Galaxy Tab S 10.5. Reportedly, the slate's included security bundle prevents sensitive data from falling into the wrong hands while allowing personal apps. Yes, you can watch YouTube on the same device that carries your classified documents. You aren't likely to find this in stores (certainly not at its $2,380 price) as a result, but ongoing German government tests hint that you may well see it in the field -- and there's a real chance that it will outlive its ill-fated predecessor. As the battle for mobile dominance continues among three wireless charging standards, with many smartphone and wearable makers having already chosen sides, Apple continues to sit on the sideline. While the new Apple Watch uses a tightly coupled magnetic inductive wireless charging technology, it still requires a cable. The only advantage is that no port is required, allowing the watch case to remain sealed and water resistant. The iPhone 6 and 6 Plus, however, remain without any form of wireless charging, either tightly coupled inductive or more loosely coupled resonant charging. Over the past few years, Apple has filed patents on its own flavor of wireless charging, a "near field" or resonant technology, but no products have as yet come to market. If and when it does select a technology, it will likely be its own proprietary specification, which ensures accessory makers will have to pay royalties to use it. Yes, yes, iOS 8.2 was only released on Monday, but Apple's got you covered in case that's just not bleeding edge enough for you. 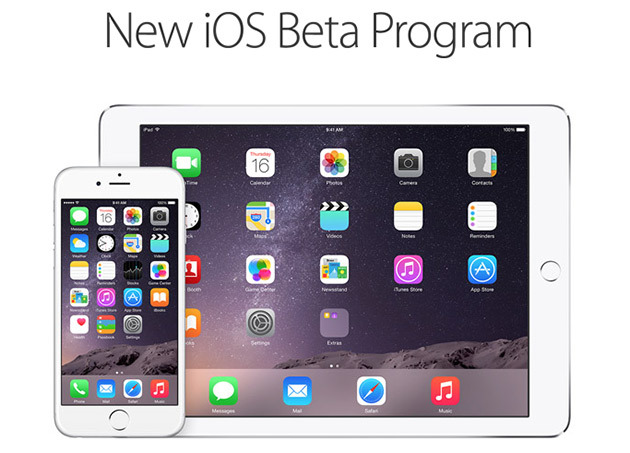 After getting plenty of apparently helpful feedback during OS X Yosemite's public beta period over the summer, the company is (as expected) kicking off a public beta program for iOS, beginning with a non-final build of iOS 8.3 available to testers starting today. After Microsoft vaguely confirmed last November that its digital assistant Cortana will be headed to other operating systems, the software giant is finally offering up specifics. 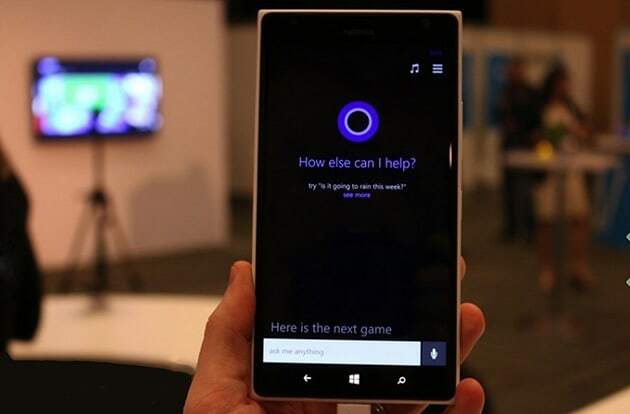 Microsoft is now aiming to bring Cortana to iOS and Android devices as a standalone app, Reuters reports. What's more, the company is also looking to include technology from one of its artificial intelligence research projects, dubbed Einstein. "This kind of technology, which can read and understand email, will play a central role in the next roll out of Cortana, which we are working on now for the fall time frame," Eric Horvitz, managing director of Microsoft Research and a member of the Einstein project, told Reuters. We've already seen Cortana offer some basic digital assistant functionality on Windows Phones and Windows 10 -- it can tell you the weather, dictate messages, and remind you of appointments -- but it sounds like it'll soon get some deeper understanding of how we live and work. Android 5.1 has been available to Nexus devices for a little while now, and it looks like one of its neatest features - sorry HD Voice and Device Protection - isn't quite ready for public consumption yet. 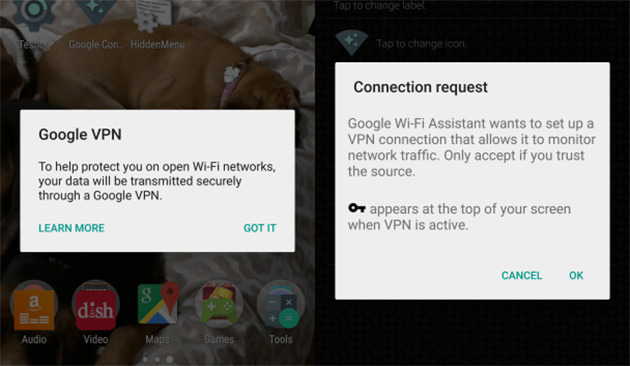 Thanks to a little bit of sleuthing by Pocketables editor-in-chief John Freml, it looks like you'll eventually be able to log into a Google VPN when you connect to one of those potentially sketchy open WiFI networks out there.